When it comes to shaping what Japanese architecture today, there’s no name more iconic than Tadao Ando. The self-taught architect was once on a path to become a successful boxer, however discovering a love of design he decided to follow a career in architecture despite any formal training. His unorthodox approach to art and design has seen him push the boundaries of what architecture can be time and time again, changing how Japan and the wider world sees buildings. Here are 6 of his most striking works you can explore right here in Japan. A meeting of two of the country’s biggest design minds, 21_21 Design Sight is a collaborative effort between Ando and iconic fashion designer Issey Miyake. This design gallery is located in the densely museum-populated district of Roppongi. The idea of this particular building was not only to show works, but to create a center that looks into how the element of design enriches our daily lives. Take some time to inspect the carefully hand-sanded steel roof, inspired by Issey Miyake's A-POC ("A Piece of Cloth") concept. Though most of this building is actually located underground, the long stretching panels of glass ingenuously allow natural light to flood the concrete bunker. While you're visiting 21_21, here are some other top things to do in the Roppongi Art Triangle! The Hyogo Prefectural Museum of Art in Kobe is another impressive work by this concrete loving architect. The purpose built municipal art gallery was opened in 2002 and features a variety of works from both foreign and Japanese artists. The most striking element of this art space is the staircases that have provided plenty of photographic fodder over the years! With architecture as striking as the art it holds, this place is really something special for art lovers of all walks of life. If you ever find yourself in the humble town of Ibaraki, about 25km outside of Osaka it would be a crime not to pay a visit to the Church of Light, one of Ando’s signature architectural works. Blending design, spirituality and history all into one building, this renovation Christian compound is nothing short of astonishing. 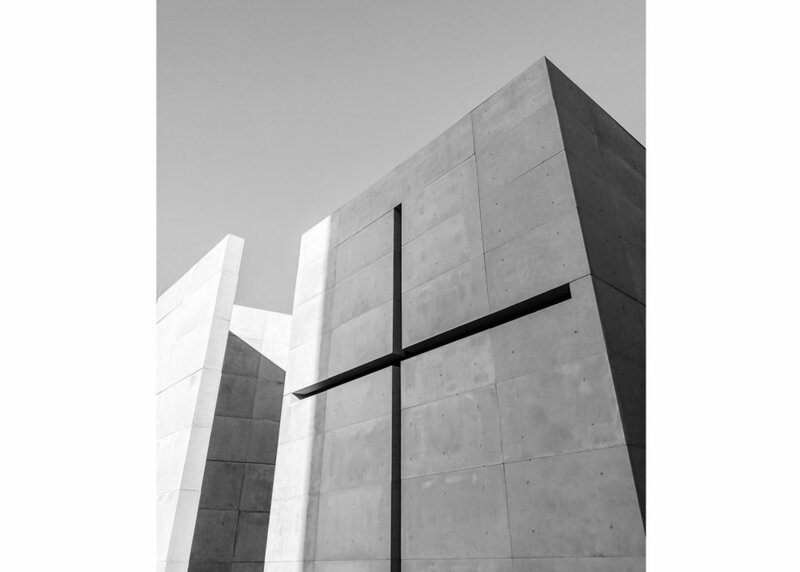 The mainly concrete building plays with light - an ideology similar the stained glass windows of traditional Christian churches - but he turns the whole idea on its head completely. This dark, meditative concrete shell of a building is pierced by an illuminated cross that transmits the natural outdoor light into the church hall. Mixing innovation with simplicity, this is one work Tadao Ando fans cannot miss. If you're interested to read more about Tadao Ando, including his many works outside of Japan, you can take a look at Tadao Ando: Complete Works 1975-Today by Philip Jodidio. It contains a comprehensive collection of his designs, including some interesting architectural sketches by the man himself. This building located in Kobe is powerful in its simplicity. It was the result of a magazine competition which saw Ando create a structure adapted to the specific requirements of the site, which was greatly influenced by the Hanshin earthquake that devastated the area less than 10 years before. Once he completed construction in the first house, another client asked Ando to build something similar on the neighboring piece of land. This gave Ando the opportunity to fulfill his original idea of two houses crafted from different materials coming together to create one wholly impressive work of design. Situated on the Hyogo coast, each floor of these buildings is a concrete mass, which comes together to act like a lighthouse, offering incredible views of the ocean below. One of Osaka city’s most striking buildings, the Osaka Culturarium at Tempozan is an embodiment of Ando’s love of pushing the architectural boundaries while exploring one of his favorite themes, the meeting of man, water and architecture. Situated on the Osaka harbor, this exhibition venue flows effortlessly into the neighboring ocean, blurring the lines of where exactly man and nature meet. Overflowing with the most groundbreaking contemporary art museums you’ll find anywhere in the world, it’s also the unofficial island of Tadao Ando. He designed a number of buildings on the area, but arguably the most famous is the Chichu Art Museum. Keeping the harmony between man and nature in mind, Ando built most of this museum underground to avoid impacting the naturally beautiful scenery of the Seto Inland Sea that borders the island. Keeping a very minimal aesthetic, the space is mainly built from concrete, providing the perfect low key (though still fascinating) backdrop to the works by James Turrell, Walter De Maria and Claude Monet that live inside. 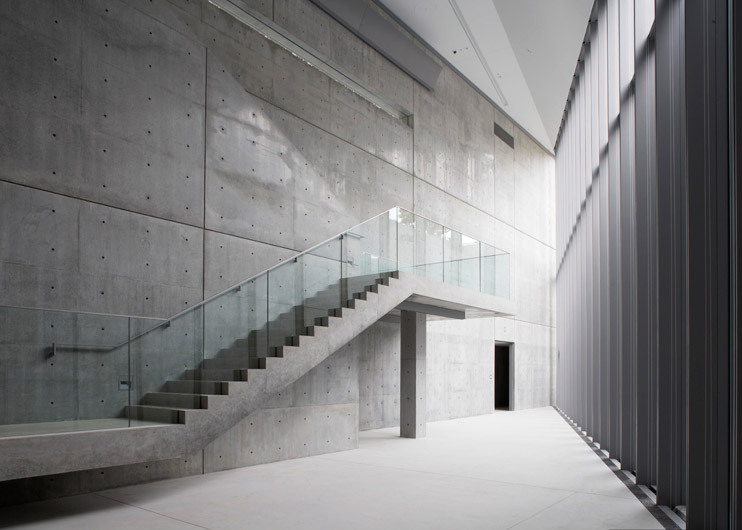 What's your favorite Tadao Ando building? Let us know in the comments below! JO SELECTS offers helpful suggestions, and genuine recommendations for high-quality, authentic Japanese art & design. We know how difficult it is to search for Japanese artists, artisans and designers on the vast internet, so we came up with this lifestyle guide to highlight the most inspiring Japanese artworks and designs for your everyday needs. All product suggestions are independently selected and individually reviewed. We try our best to update information, but all prices and availability are subject to change. Japan Objects is a member of the Amazon affiliates program and if you buy something through our links, Japan Objects may earn an affiliate commission at no cost to you.